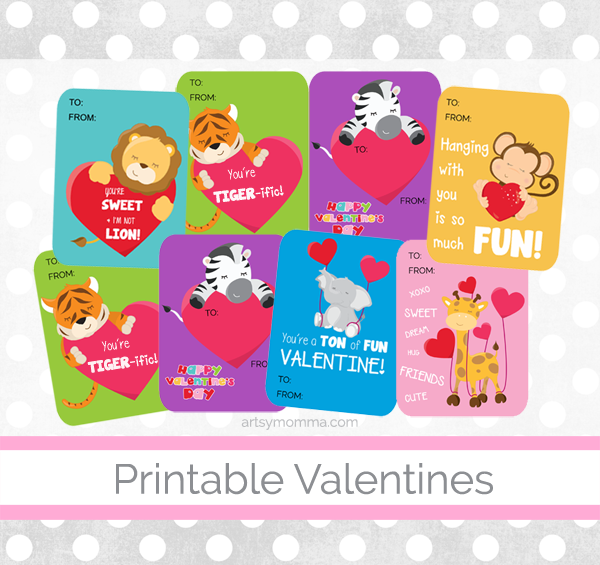 Looking for a creative Valentine for kids to make and give to someone, or perhaps for a classroom Valentine’s Day exchange? 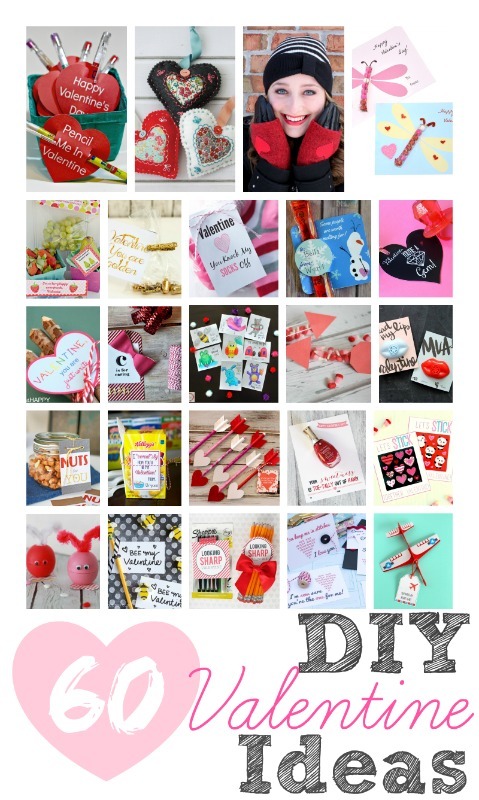 I’m excited to tell you that we are taking part in a DIY Valentine blog hop with 55+ other bloggers! We invite you to browse all the fun ideas added at the end of this post to help inspire you to make something creative this year. 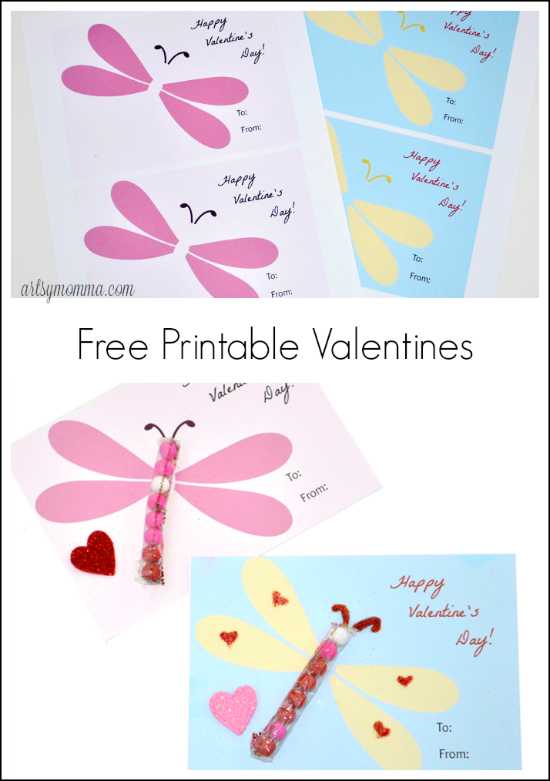 Our cute idea is a printable dragonfly candy Valentine that you can print for free. Handmade Valentines are the sweetest! There seems to be an endless amount of punny or cute sayings to attach to everything from bubbles and candy to miniature animals and crayons. 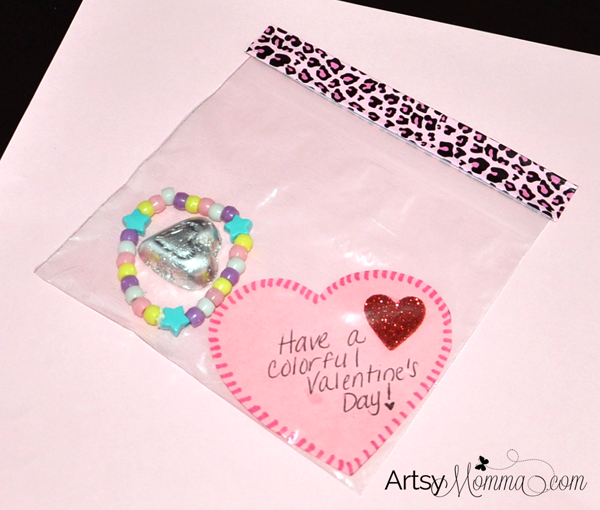 This year, I bought a bag of pink/red/white sixlets and wanted to come up with a cute way to incorporate them into a candy Valentine. 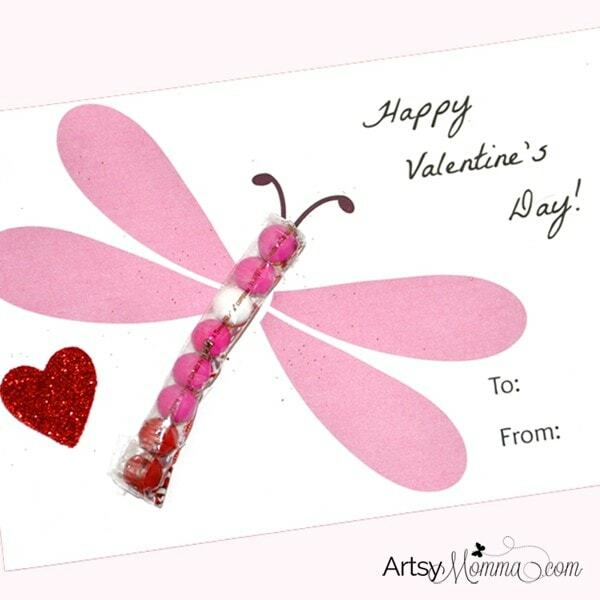 While dragonflies aren’t a typical thing you think of when celebrating this day, a dragonfly candy Valentine with it’s heart-shaped wings seemed like a cute idea! I made the printable dragonfly card template to share with all of you….. for free! Please see the bottom of the supplies list to print your copies. There are two different versions, a light pink card with darker pink wings and a light blue card with yellow wings. Before I give you the tutorial, want to see a sneak peek of the some of the other DIY ideas? I can’t wait to browse them all! Please note that these are Amazon referral links and we may receive a small commission on items ordered. Use double-sided tape to stick the sixlets in the center of the dragonfly wings. Another idea would be to use regular tape and roll it. 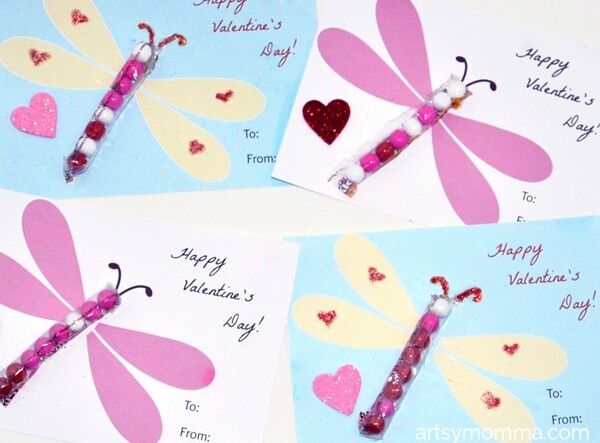 Kids can help with this part and may enjoy seeing them turn into candy dragonflies. I ended up adding red glitter glue to the antennae on the blue cards and little glitter hearts on the wings. To make it look more Valentine-sy, we glued on glitter hearts that I purchased from Dollar Tree. You could skip this part or add stickers instead. To make the dragonfly cards sturdier, print it on cardstock . Don’t forget to fill out the ‘To and From’ section! There are 2 cards on each page. Print as many copies as you need and then cut the white areas off. I used a paper cutter for ours since you can easily get straight lines using one, but a scissors works too! Ready to see all the A.M.A.Z.I.N.G. DIY Valentines from other crafty bloggers? Check out the full list here!